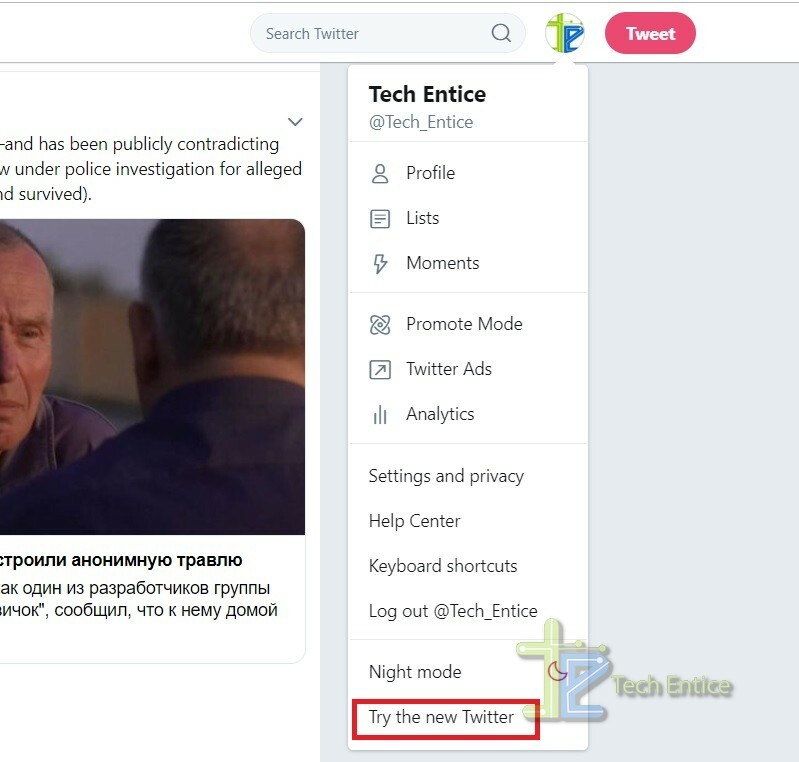 Home > Social Media > How To Switch To The New Twitter? Twitter has refurbished its old traditional look and got a new makeover. The overall look has been made comparatively more funky because the icons, graphics have been changed. The layout has been modified and brought to a center stage. Previously, the Tweet button was at the top right corner of the screen just beside your Profile icon. Now, the Tweet button has been relocated to the bottom right corner of the screen. The trending section has been relocated from the left panel of the screen to the right side. Several such minor changes have been made. You can change the theme anytime, any day and take it back to the Legacy Twitter account. In this tutorial, I shall show you how to switch on to the new Twitter layout. To switch to the new theme, you have to click on the profile icon at the top right corner of the screen. The account info screen appears. Scroll down and find the option Try The New Twitter. Your new Twitter layout will be active. 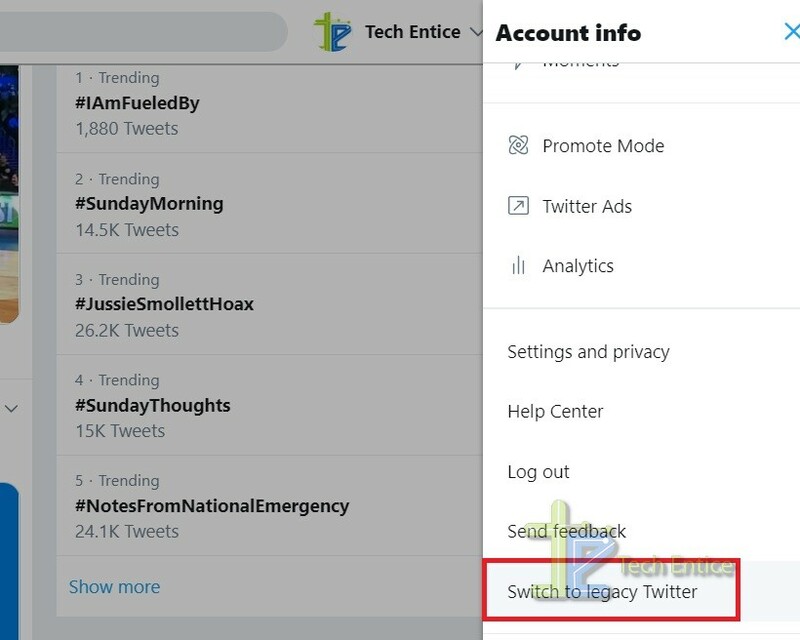 To switch back to the Legacy Twitter, click on Switch To Legacy Twitter. You will be asked to provide feedback why you want to go back to the old Twitter. Just click on Switch Back.